There's a lot of work that goes into the admissions stats that universities tout. As college-bound students weigh their options, they often look to the various statistics that universities trumpet — things like the high number of applications, high test scores, and low acceptance rate. "There's no question about it," said David Kalsbeek, senior vice president for enrollment management and marketing at DePaul University. "There are ways of inflating a metric to improve perceived measures of quality." Some of these tweaks — such as a more streamlined application — can actually benefit students. Others serve to make the admissions process more confusing. Here's a rundown. Express applications — sometimes known as "fast apps," "snap apps," "V.I.P. applications" or "priority applications" — are often pre-filled with some student information and require little if anything in the way of essays. And especially when they're accompanied with an application-fee waiver, what's a student got to lose? Not much, fans of fast apps argue. The school, meanwhile, has a lot to gain. The tactic, designed to broaden the pool of applicants, can help super-charge application numbers. Drexel University and St. John's University — the only two private colleges among the top 10 for most applied-to colleges in 2011 — both market broadly and use fast apps. Getting in more applications can also boost the appearance of selectivity. Critics contend that some schools use fast apps specifically for this purpose — luring students in to apply to institutions they hadn't heard of and ultimately rejecting a portion of them. Neither school, when contacted, responded to requests for comment. Another statistic schools often try to control is their "yield" — that's admissions parlance for the percentage of students offered admission that choose to attend. Though it's no longer statistically factored into U.S. News & World Report's ubiquitous rankings, yield rates are still a data point made available to prospective students. They're also inextricably tied to acceptance rates because schools use previous yields to calculate how many students they should admit to fill a class. Schools with low yields must extend lots of acceptances, knowing many accepted students will go elsewhere. One way to increase yields is to draw heavily from the pool of applicants who chose to apply through early action, or to encourage early decision, which is binding. At the University of Pennsylvania, for instance, nearly half of the spots in the freshman class are filled through the university's binding early decision process. One other thing to note: Because early decision involves committing before any financial aid is offered, it generally attracts wealthier families. Students who need financial aid or want to be able to make cost comparisons between different schools are typically advised not to apply early — which can hurt their chances. While opening up early decision and early action programs is a way for colleges to force students to demonstrate that they're their top choice, schools use a variety of ways to divine the same information from regular decision students as well. This is perhaps the most common — and in some ways, common sense — method used by colleges to improve yield: simply to admit only those students who they perceive as likely to enroll. "There are so many silent electronic footprints they're leaving nowadays," said Sundar Kumarasamy, vice president for enrollment management and marketing at the University of Dayton. Kumarasamy said that his institution tracks many of these subtle signals of interest from applicants: They can tell whether individual applicants clicked to open email communications, logged into the system to check the status of an application, and not only whether they called the school, but how long that phone call lasted. If the school gets the sense that an applicant isn't interested, that's factored in. Kumarasamy calls it "recruiting for fit." The interest — or lack thereof — can ultimately mean that the school rejects some candidates who on paper are more than qualified but failed to demonstrate interest. But going test-optional can also help universities' stats. 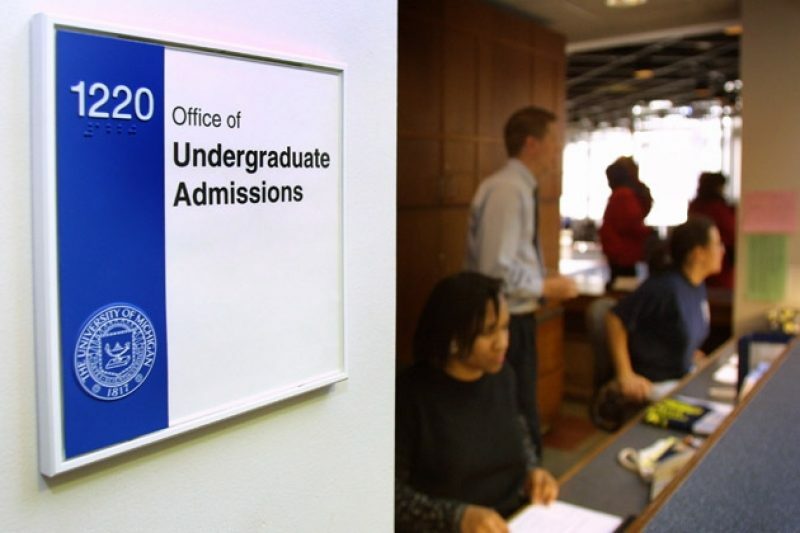 Critics note that in addition to attracting more applicants, the move ultimately skews the average test scores that institutions report: Lower-scoring applicants are the most likely to withhold their scores and higher-scoring applicants are the most likely to submit them. Some colleges actually cross the line with their creative number-crunching. Since the start of last year, five colleges have acknowledged overstating their admissions statistics: Bucknell University, Claremont McKenna College, Emory University, George Washington University, and Tulane University's business school. U.S. News' Robert Morse has said there is "no reason to believe that the misreporting is widespread." But a survey by Inside Higher Ed last fall suggests that even admissions directors are skeptical of the reporting, with 91 percent of those surveyed saying believe they believe there's more misreporting than has been identified. Boston College made "a strategic decision" this cycle to raise the admissions bar by adding an essay. It got the expected drop in applications — and a recent write-up in the New York Times. A handful of others, including Ursinus College, have done the same. In addition to requiring essays again, they dropped the fast app. But for many other colleges, what's been called the admissions "arms race" is on — with these strategically achieved statistics as the scoreboard.